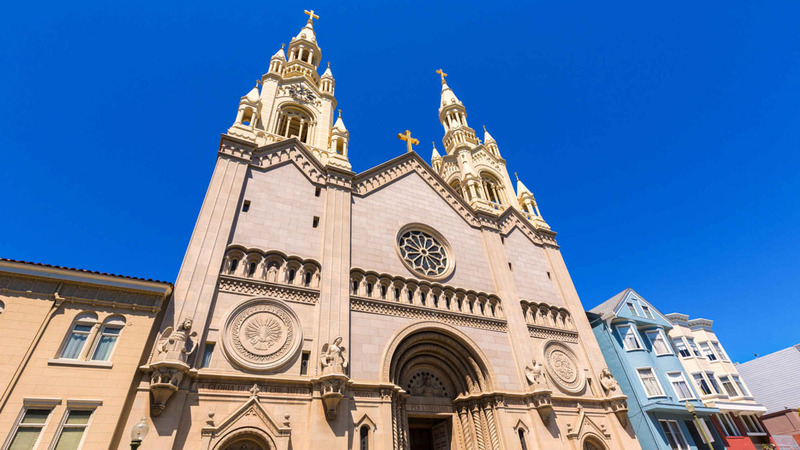 Once known as the "Paris of the West," the gold-rush population boom made San Francisco a polycultural hub long before its Summer of Love. 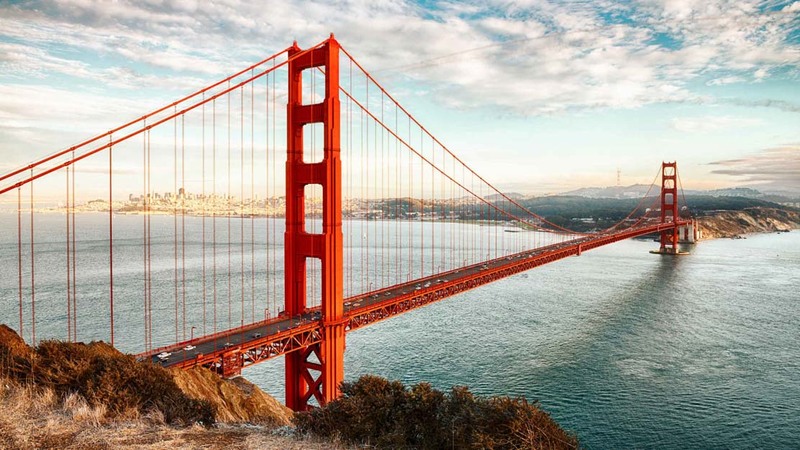 Here are some of the top attractions of this iconic west coast metropolis. 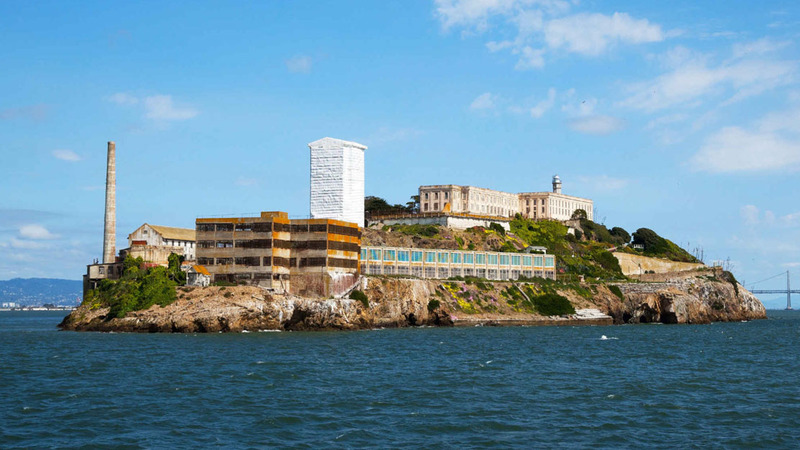 Alcatraz has had a colorful history but is most famous for being the prison that once held some of the US' most notorious gangsters, from Al Capone to Whitey Bulger. The once-neglected Washington Square has evolved into an incredibly vibrant pocket of culture. It's now home to some of San Francisco's best restaurants and cafes. 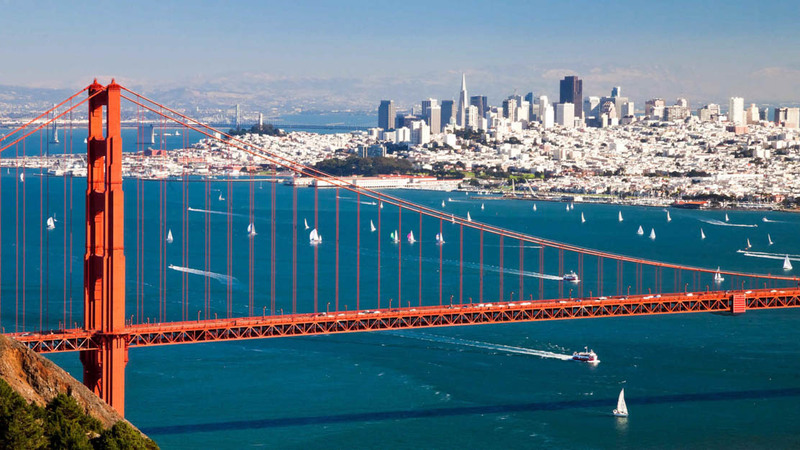 San Francisco Bay actually consists of several bays, and its windy urban beaches make it a popular destination for sailors and windsurfers, as well as those just there for the scenery! ...But the San Francisco Bay Bridge is a strong contender for that accolade when lit up at night! 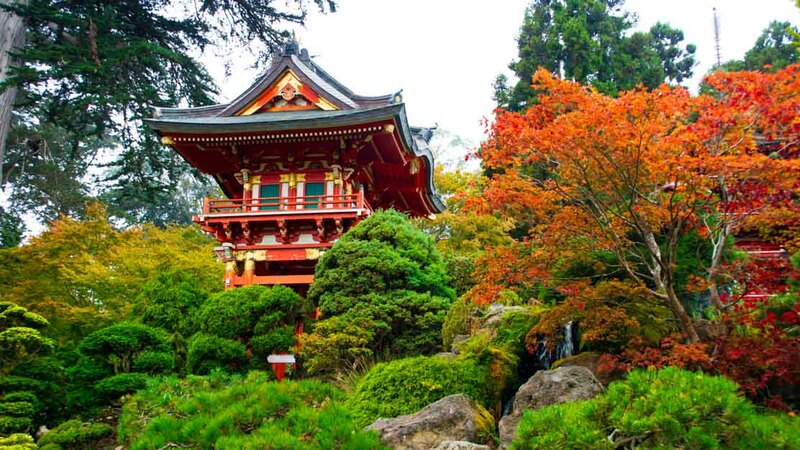 Inspired by New York's Central Park, the Golden Gate Park provides a leafy respite from the city, as well as attractions like the Academy of Sciences and Japanese Tea Garden. Fisherman's Wharf is the touristic center of San Francisco. It boasts seafood restaurants that go back generations, as well as museums, parks, and its own sea lion colony! 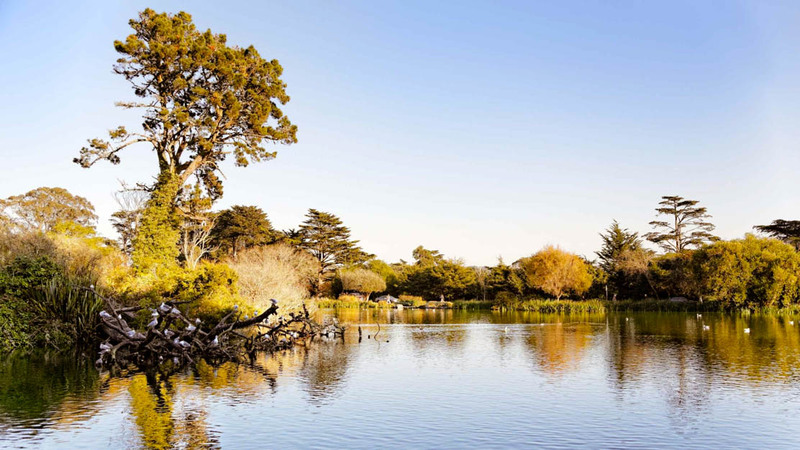 Stow Lake is the largest and most scenic of the manmade lakes at Golden Gate Park. Its island, Strawberry Hill, offers spectacular downtown views over the treetops. 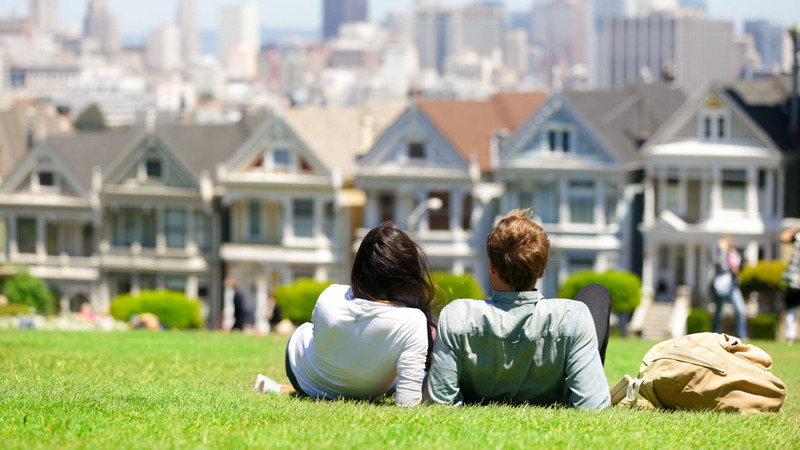 Explore San Francisco's more affluent side with a jaunt around Alamo Square. The neighborhood's hilltop park looks over much of the city, and don't forget its "painted ladies!" 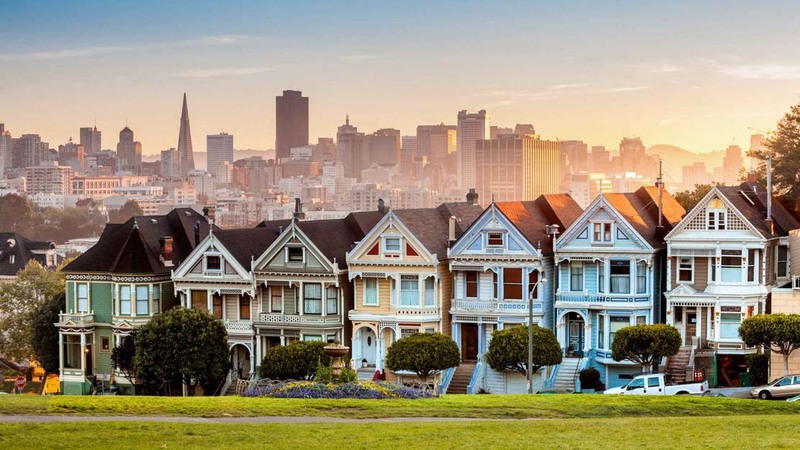 The Painted Ladies are extravagant Victorian rowhouses which survived the 1906 San Francisco earthquake and fire. It's astonishing to think so much of the city once looked this way! Some would say for as long as you can, so bear in mind that it's a big and busy city with plenty to see and do. First-timers should consider spending at least a week there if possible, though even that might not be enough! 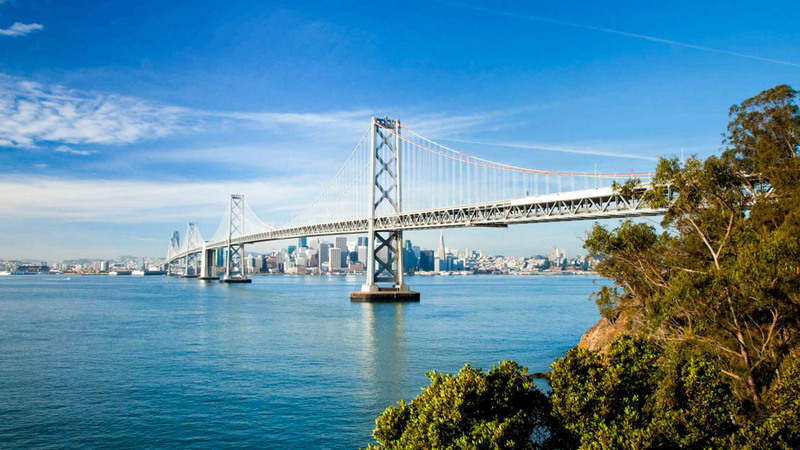 Which of San Francisco's neighborhoods is best for you depends on the nature of your trip. Fisherman's Wharf will meet all the immediate needs of a fleeting visit, though Union Square is a more neutral and relaxed jumping-off point for tourists. Other neighborhoods each have their own personality so it's worth putting in the research, but high-crime areas to avoid include Bayview, Hunter's Point, Sunnydale, and Visitation Valley. 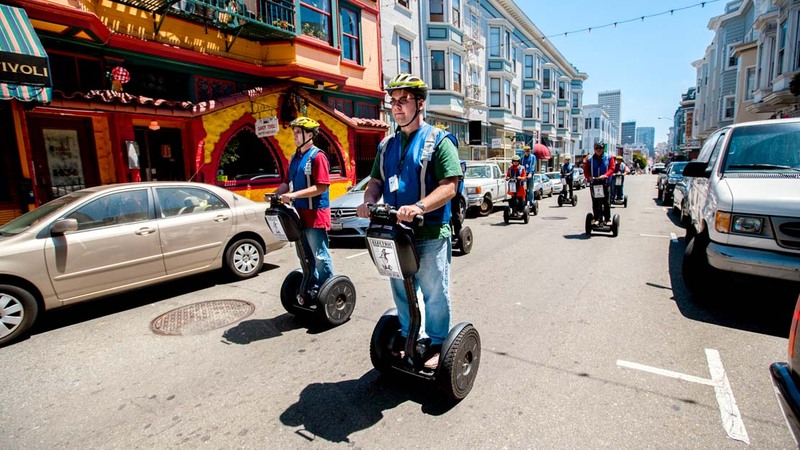 "San Francisco has one of the world's most unique public transport systems. As well as buses and trains, the city is mostly mobilized by its historic cable-car network. Although newer trams do operate, visitors may want to ride one of the older ones for the novelty. Be warned though, notable routes such as the F-Market & Wharves line tend to get very crowded! The city is also very bike-friendly,with extensive bicycle lanes and even bike lockers!" The tour was one of the highlights of our west coast trip. We were fortunate to have good weather and an informative guide Igor who was very knowledgeable about the area we toured. Excellent one day tour for wine tasting ! This tour was exceptional. For anyone looking for a full day in Napa/Sonoma without staying overnight there - this is the tour for you. The tour was organized, timely, and the stops were AMAZING! Not to mention our tour guide was one of the best I’ve ever had. Knowledgeable, funny, and enjoyable !